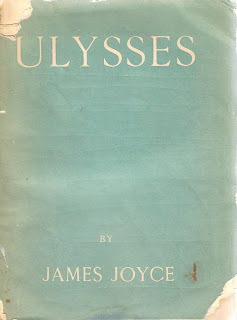 Did you hear about the "Bloomsday Burst" twitterfest? It was on NPR this morning. I'm not much of a tweeter, but the whole thing definitely made me smile. I did. Haven't followed it yet, but I plan to read it "with relish." Cheers. I'm sure I was reading you regularly by then, so how did I miss this?! I'd say Joyce pairs with ultrarunning quite well. Really nice observations. As usual, you've given me something interesting to consider. @Stacy, thanks. For a number of reasons, this post remains one of my personal favorites, so I thought I'd give it another chance on Bloomsday proper. Cheers.